The local brewery started in 2006 and now has pubs in Bend, Boise, Portland, Denver, and San Diego. 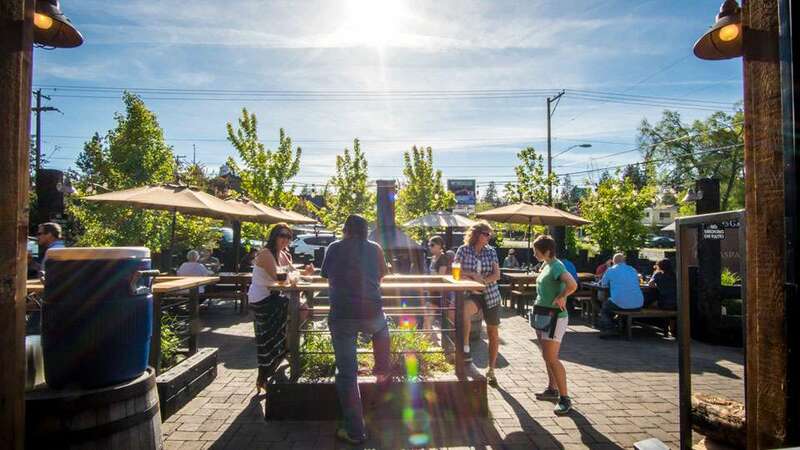 With eight year-round brews on tap, two seasonals, and four small tank series, 10 Barrel Brewing has two locations in Bend, both with indoor restaurants and ample outdoor lit seating and gathering spaces with fire pits. West Bend is open 11:00 a.m. – 11:00 p.m. Sunday – Thursday, with extended hours on Friday and Saturday until midnight. Minors are welcome all hours. Dogs are allowed in outside seating areas. 10 Barrel also has a charitable mission through their “Charity of the Month” program. Each month they choose a charity partner in each of the pub locations and raise money for their organization throughout the month, donating all profits from sales of their Charity T-Shirts to the charity. In addition, they host Charity Tuesday on the last Tuesday of each month. All profits from 5:00 p.m. – 9:00 p.m. get donated to the designated charity. Is this your listing? Click here to update it.